Match the Dealer Blackjack is an exciting variant of the Las Vegas classic where Match the Dealer side bet takes the center stage. The idea is pretty simple, if one or two of your initial cards match dealer’s up card – you win. That’s it. To be honest, Match the Dealer is not as popular as some other side bets, Perfect Pairs or 21+3 for example. It’s hard to pinpoint the exact reason for that. I am guessing that we are usually attracted to high variance games, while Match the Dealer is a frequent wins / low payouts type of bet. Kind of on the other side of the scale from Progressive blackjack. Now, that doesn’t mean that you shouldn’t give it a try. 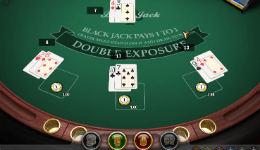 In fact, if you are looking to spice up your blackjack game, but in a solid way (and not something that can eat your balance within 20 minutes), Match the Dealer blackjack might be just the game you were looking for. *To play the free version you need to allow Adobe flash. Click on yellow Adobe Flash link in the center of the game and then “Yes”. (If the game doesn’t start within few seconds, just click refresh and it will launch). First, Match the Dealer bet can be found at any type of blackjack, standard American blackjack, Spanish 21 (Pontoon) and so on. Second, it can be played with any number of decks and the payouts vary accordingly. Here are the most common Side Bet payouts. The first option is the one that can be played online. 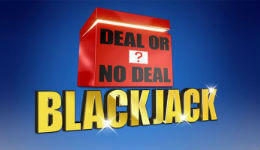 Currently, there is only one software provider that offers Match the Dealer Blackjack and that is BetSoft Gaming. It is called Pirate 21 and played according to Spanish 21 Rules. Pirate 21 would have been an interesting game even without Match side bet, but said perk definitely makes it even more exciting. Here are the basic rules of the game. Played with 6 Spanish decks. Player 21 and player blackjack always win. Double on any number of cards. 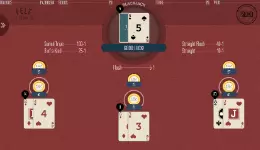 You may Hit/Double on Split Aces. Suited 7-7-7 when dealer’s face card is 7 pays $1,000 or $5,000. $1,000 for bets from $5 to $24 and $5,000 for bets above $25. As you can see, to maximize your return you should bet either $5 or $25. * In case both cards match, you will be paid only once for the highest match. 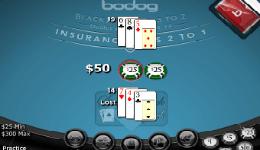 The table limits go from $1 to $100 and you can play 3 hands simultaneously. The house edge of the side bet is 3.06%.